It was in the late '80s in South Africa where I first heard my teacher Lao Tze Bob Davies describe what he taught as a "civilian defence system". At the time I paid little attention. 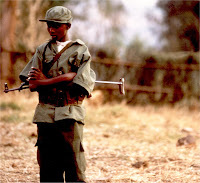 It seemed nothing more than another variant on the term "self-defence", perhaps with some extra resonance because of its contrast with the military training undertaken by conscripts in the apartheid regime's armed forces. However over the intervening years I have had occasion to consider this term in greater detail and I am finally starting to understand its import. I now see that the significance of "civilian defence system" is two-fold. It serves to distinguish what we do from military methodology; that much is clear. But it also serves to distinguish our methodology from sports. The dynamics of sport or military fighting disciplines are significantly different to those of civilian defence. These differences have nothing short of a profound effect on what fighting skills one should employ and how one should practise them. I’ve often heard people talk about someone having a "real fight". However what they are usually thinking of a is fight outside the pub/bar in a Western society with some person who is, "at worst", from a poorer/rougher socio-economic background. They aren't talking about a struggle to the death, such as one might encounter in a place where the rule of law and the “social contract” has completely broken down; a place where man has been returned to what Thomas Hobbes called “the state of nature” and where life has become “nasty, brutish and short”. We see what Hobbes might have meant in places like Baghdad, Mogadishu, Sierra Leone, the Balkans and Rwanda. In each case there are countless examples of what is known in criminology as the process of “brutalisation” – a continued and direct exposure to extreme violence leading to its “normalisation” and with it the disappearance of any semblance of human empathy. Sadly one needn’t go to a war zone to find evidence of brutalisation: Countries like South Africa and Russia have such appalling crime rates (often committed with such brutality) that they might as well be in a state of civil war if one looks at the victim statistics. And in other countries I don’t suspect you’ll find much “empathy” in a tussle with the Mafia, the Triads or any other organised crime network, for example. Even in our comfortable Western lounge rooms this process of brutalisation is playing out – albeit on a much smaller/slower scale. It seems that as a society we are now quite comfortable about seeing extreme violence in the media, particularly in movies and video games. Events such as MMA permitting “ground and pound” type assaults are “light” entertainment. Internet posts reveal that some particularly savage beatings in the ring are often regarded as “funny”. In one recent case Youtube video comments relating to a malicious beating of a contestant (who was already unconscious during the last 4 or 5 blows) included “lol”, “rotfl”, “I nearly wet myself” and “cool”. Thankfully, despite this trend, the bulk of humanity appears to comply (for the most part) with the terms of “the social contract”. I suspect this has always been, and will always be, the case – even if our present “lust” for acts of violence is seen as symptomatic of “civilisation collapse” of the kind witnessed during the decline of Rome (as many have argued)1. The tendency for humans to revert to living in a largely stable, peaceful society seems to be a dominant instinctive drive of our species – as is the case in respect of most “social animals”. Violence in society (or between societies) might be inevitable, but it is nonetheless a relative aberration from the norm: Just take a look at the humming buzz of a city and witness all the countless vehicles being driven in accordance with complex rules, people passing each other like ants in a busy colony, the fact that our garbage is collected, the power is usually on, trains run more or less on time, etc. All work with a harmony and efficiency that is staggering considering how volatile and selfish we, as individuals and as a species, appear to be. Even in unstable and infrastructure-poor/neglected/destroyed places like Afghanistan, Zimbabwe and now Georgia, it is interesting to note that substantial societal cooperation persists or is re-established quickly once an immediate crisis is over. In my view this is directly attributable to a “cooperative” gene that most of us have inherited – possibly one of the few “good” things about our biological make-up. With this in mind I turn to the 2 principal "categorisations" of human fighting methods - namely "grappling" and "striking". I have used these labels for convenience only, since fighting methods are often not one or the other but involve some element of fusion - consider my article "Is karate a striking art?" by way of example. Of far greater interest to me is differentiation along the lines of sport, military and civilian application. However an approximate grouping by dominant fighting method is still useful for certain purposes. In the context of my above comments relating to the "cooperative gene" it is hardly surprising that almost every (if not every) culture has a popular traditional grappling discipline. It is a relatively “safe” way of determining the male “pecking order”. Most cultural grappling disciplines are sports rather than "art" forms (although some are considered both - eg. jujutsu, judo and even aikido). Some are or were related/used for military purposes; jujutsu was the fallback of the weaponless samurai and even today military hand-to-hand combat tactics feature a strong grappling component. However the idea of lengthy tactical wrestling match between combatants is not high on any military strategists’ agenda – when have you heard of a battlefield littered with one-on-one groundfighting matches? "Grappling" disciplines can also be used effectively in "civilian defence" – quite apart from sport or military use. Certainly arts like jujutsu and Chinese qin-na are practised today principally for this purpose in much the same way as “striking” arts like karate and gung fu. I shall expand on the role of grappling in civilian defence in due course. Like grappling disciplines, the striking variety are old as humanity. I include both unarmed and armed disciplines in this group, since both involve an element of “striking” an opponent. Most weapons striking disciplines have their roots in military application, although some relate to duels / prizefighting / blood sports (fencing might be an example). For unarmed striking disciplines it seems to me that the reverse is likely to be true. At some point it appears that certain striking disciplines were elevated to “art” forms. In some cases they serve a function as both an art and a form of civilian defence (eg. karate) however this is relatively rare: such arts principally exist in China, Okinawa and Japan and to a lesser extent India and southeast Asia (possibly for related, complex cultural and historical reasons). Elsewhere they have evolved into dance forms (eg. 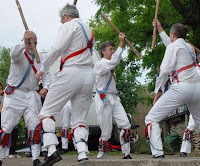 capoeira or Morris dancing). Most striking disciplines are too goal-directed to be called “arts” – they are usually connected with (often archaic) military technology, or sports. And yet some "non-arts" have nonetheless been absorbed into the broader “cultural mileu” as as a means of civilian self-defence - examples of this might be the Filipino martial systems of arnis, escrima and kali. Direct and effective, the modern incarnations of the Filipino systems are descended from military strategies (used in local warfare and against the Spanish), but are today principally seen as a method of community self-defence - a purpose avowedly shared by many of the striking arts discussed above and indeed many grappling disciplines. With the exception of a few examples like western fencing, striking sports are usually not seen as a “genteel” or acceptable pastime for the mainstream3, and are often associated (rightly4 or wrongly) with the seedy underworld (and this is despite the recent attempted popularisation of “white collar” boxing/kickboxing/MMA/Muay Thai). In other words aside from the obvious traditional eastern striking "defence" systems (Shaolin gung fu, taijiquan, karate, taekwondo, silat, arnis/escrim/kali etc.) and a few other odds and ends (eg. Brazil’s capoeira, and arguably Canary Islands’ juego del palo), most western striking disciplines remain instruments of either war or blood sports – they were not, and are not, intended for practise in mainstream civilian society. How civilian defence systems came to develop is the subject of much conjecture. For example the banning of weapons in Okinawa is often cited as the impetus for the development of karate, however there is little, if any, historical fact to support this assertion.5 Rather karate appears to have simply developed in tandem with similar arts on the Chinese mainland, perhaps in response to common religious or philosophical trends that were otherwise absent in, say, Europe. Indeed there are many cultures with no history of structured, community "self-defence training" despite an obvious need (often a greater "need" than, say, the relatively peaceful island of Okinawa6). Whatever the reasons, that striking and grappling systems adapted specifically for civilian defence came into existence in the far east at least at some point in the 18th century is a matter of historical fact. What primarily distinguishes these systems from their military and sports-related cousins is that they have had (and continue to have) a fundamentally different root motivation, ie. the avoidance rather than the infliction of harm. This is reflected in such sayings as Gichin Funakoshi’s famous quote “karate ni sente nashi” or “there is no first strike in karate” or for that matter in the fact that virtually every xing, kata, pattern or other “form” I have studied in a traditional Chinese, Okinawan, Korean or Japanese martial art begins with a defensive move. While the same cannot be said of the non-art disciplines like arnis7, they have, to a certain extent, absorbed a similar philosophical credo and have become closely aligned with Chinese gung fu. This different motivation results in very different training, techniques and tactics as we shall see below. What civilian and military defence share is that there is ultimately no restriction as to technique. In other words anything goes, including so called “dirty” tactics like biting, gouging, scratching, the use of weapons or the use of permanently disabling / lethal techniques – provided the circumstances warrant the use of those tactics. In warfare a soldier faces not only the relevant Geneva convention, but also his/her own army’s “rules of engagement”. But it would be fair to say that the constraints in war are far fewer and differently directed than any use of force in civilian society where the “rules of engagement” are very strict indeed. Your response has to be appropriate and necessary, otherwise you face prosecution yourself. Civilian defence systems will typically give you a wide range of destructive skills, including “drastic measures”, however they don’t give you instructions on when to use those skills. You have decide that yourself by reference to society’s laws and values. We civilians aren't usually pyschopaths who don't care about hurting others. Most of us are empathetic human beings (ie. we carry the “cooperative gene” and we haven’t been “brutalised” to a point where this instinctive empathy is completely subsumed). So we are reticent about biting, gouging eyes, stabbing or doing other “drastic” things. The law tends to view such acts very dimly because it reflects society’s “cooperative” values. You can get away with “drastic measures” only if they constitute “reasonable force”. As a prosecutor I noticed that people who maimed others in bar brawls (a bitten off nose would be just one example) were viewed very poorly by juries - even if they were acting in self-defence. By contrast, after almost 30 years of martial training I am occasionally still taken aback by methods employed in military off-shoot disciplines like the Israeli krav maga or Russian systema (or for that matter my own native Serbian arts as compiled in the svebor system of Professor Bata Milosevic8). People describe how “brutal” and “devastating” the techniques are. I know what they mean. It can be disquieting to be shown how to slice someone’s bicep tendon with a knife, only to follow it up with an upward stab into the kidneys. Effective – yes. Reasonable or even necessary in most civilian defence situations – unlikely. It is true that civilian defence arts often have techniques that are, to the say the least, unpleasant. I remember a potential beginner watching me teach bunkai (applications) of the goju-ryu kata saifa (involving a knee to the groin and later a twisting of your opponent’s head) only to say afterwards that she did not want to be party to such wanton violence. Yet however “brutal” civilian defence arts are, military disciplines take it to another level – as they should. The goal is, after all, to neutralise the enemy. In civilian defence the goal is to use “reasonable force” for protection only. Accordingly the difference in root motivation between military and civilian defence produces very different results, even if the technical and tactical methodology is sometimes similar “on paper”. However, the root motivation extends further in its effect: it changes the focus and method of preparation. Some of this is technical or mechanistic — a military discipline might inculcate particularly brutal responses in set drills. Or these drills might be “attack” based, rather than “defend/attack”. In war, battle hardening is essential. Even if there are casualties or other consequences to the preparation, these are tolerable (up to a point) if the “military machine” is going to be better prepared. Put bluntly, individuals are expendable both in war and war preparation – the interests of the “machine” are paramount. This is fundamentally different to civilian defence methods where the individual is the focus of protection. Criticisms of traditional civilian defence systems don’t tend to come from military disciplines and their offshoots. Rather they tend to come from the sport arena where skills are said to be “proven” or “pressure/resistance tested”. In the 1970s and 80s they came largely from kickboxing (for example Joe Lewis, a former heavyweight world champion, is famously quoted as saying that “karate techniques from the waist up are a fraud” – mainly because they didn’t work in a gloved context). In the 1990s this criticism arose principally in the context of the UFC (Ultimate Fighting Championship) matches where BJJ (Brazilian jujitsu) grapplers demonstrated their superiority over most of the “stand-up” fighters (ie. those who practise what I’ve called unarmed “striking disciplines”). In the 2000s this criticism arises predominantly from MMA (Mixed Martial Art) practitioners (who practise an eclectic mix of grappling and striking sport disciplines – none of which is an “art” as I have used the term in this article). In the sports context it is often taken for granted that traditional or other civilian defence methods don’t work unless they can be proven in the ring. Now I’ll admit that there is a certain attractiveness to this argument. On one hand you have your average suburban civilian defence practitioners who train twice per week and only occasionally engage in contact. On the other you have athletes who train with far greater intensity and constantly encounter hard contact, both in training and in the ring. However I feel that the comparison is misleading: Most sports fighters who readily spring to mind are professional or semi-professional, training intensively for specific competition events. They have little in common physically and psychologically with the suburban civilian defence practitioners. Instead it would be far more interesting to compare a suburban civilian defence practitioner with a mirror of him/herself – training twice per week in sport techniques. But even then – what would we be comparing? The sports practitioner might win in a ring match, but would he/she be better prepared for civilian defence of the kind he/she is actually likely to encounter? It is also important to bear in mind that many people choose to practise civilian defence systems not out of ignorance or stubbornness but because it suits their goals and personalities. They might simply not be interested in combat sports. Why do I disagree with this assumption? For a start, there is that troublesome little thing called “rules”. The immediate response to this is that “the rules are so few that they might as well not be there at all.” Wrong. Few does not equal none. In my experience altering even one small rule changes the dynamics of a ring fight quite substantially. It is important to note that I’m not saying: “but for the rules, I would beat a sports fighter.” I’m saying that training for a sport requires you to spend a great deal of time dealing with dynamics that do not arise in the street. And the corollary to this is that they do not specialise in dealing with some of the dynamics that do. I mentioned above that what military and civilian defence systems have in common is that there are no “barred techniques” – only variable threshold levels where the use of certain techniques will be permissible. In the appropriate circumstances anything goes in either military or civilian defence. The only thing that differentiates the 2 is when something will be considered “permissible”. Even then, the penalty is not a “disqualification”. In other words, you don’t “lose” because you “cheated”. You might “win” – but potentially face a subsequent penalty later (be it court or a court martial). My point is not that biting is an answer to grappling – just that it changes the dynamics of the fight. For example, if you knew Mike Tyson was going to bite your ear, you would be less likely to clinch with him. Similarly, if both parties are going to bite, you're going to see a lot less of the prolonged tactical “gameplan” of a BJJ fighter. Ditto for all the other “forbidden” techniques – eg. eye gouges and scratching. The dynamics change even more drastically when you enter into the equation weapons and multiple assailants. 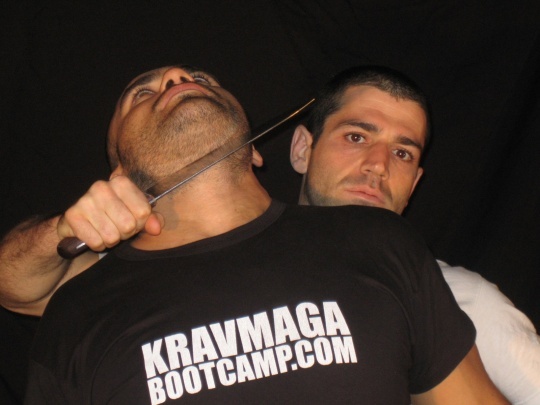 No one can persuasively argue that grappling isn’t a useful skill – or that you can dismiss a good grappler with just a bite or a scratch. But at the same time one shouldn’t confuse a grappling sport – which, in the main, does not deal with the variables mentioned above9 – with civilian defence. One discipline, while teaching highly useful skills, nevertheless spends an inordinate amount of time preparing you for a gameplan that, for a variety of reasons, is rarely played out in “real world” attacks against civilians. The other discipline attempts to focus squarely on defending against such attacks. It is interesting to note that since the ’90s some “minor” rule changes (rounds, weight divisions etc.) have been imposed on UFC and similar “almost no rules” contests like MMA (I say “minor” because they hardly compare with adding boxing gloves, banning grappling etc.). I believe that these rule changes have had a significant flow-on effect on the dynamics of such contests – for example, prolonged grappling matches no longer occur with any frequency, and grapplers don’t dominate anywhere near as much as they did (although grappling skills are still used). Many would argue that the change in dynamics is due to a greater degree of cross-training of the participants and I can see that this is partially true. But in my opinion the rules have led to an undeniable, and fundamental, change to the dynamics of the sport – changes that I, for one, would not have envisaged. Before I leave the subject of grappling sports I wish to address the common argument advanced by practitioners of those disciplines that “90% of fights go to the ground”. First, I don’t know where this statistic comes from. 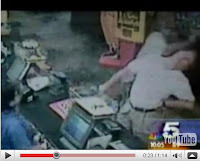 As I said previously, I certainly haven’t seen too many “grappling matches” on surveillance video. Second, if they do go to the ground it is usually because someone has been hit – and he/she falls. Third, as I have highlighted above, this observation, if true, doesn’t address real issues of armed assaults and multiple assailants (for example, my brother recently grappled a home invader into submission only to be confronted by an accomplice wielding a big piece of wood). Perhaps what this statement addresses is the truism that when 2 men square off to determine dominance (what is known colloquially as “a bit of biffo”) they will inevitably go to the ground. Why? In most cases neither is seriously intent on harming the other and they default to a “less injurious” mode of combat. As I’ve mentioned before, this is more a reflection of the “cooperative” nature of human society than it is a sign of “real world” combat. From my discussion of grappling sports it should be clear that I don’t think their methodology can usefully be transplanted “holus bolus” into civilian defence systems. However this is not the same as saying that individual techniques cannot: some might require modification, others will be useful “as is”. You’ll note from my article on “Chambering punches” that the ubiquitous “right cross” from combat sports is largely absent from civilian defence systems. Why? Put simply the latter is concerned less with landing a “knockout blow” and more with not being hit. Accordingly it prefers straight thrusts, being more conservative about “telegraphing” movements and leaving openings. It is this conservative approach that underlies the emphasis in civilian defence systems on stopping techniques at a pre-determined point. In my article on “The karate ‘kamae’ or guard” you’ll see that traditional civilian defence systems prefer the old bare-knuckle boxing guard to modern glove-based/derived versions because it feeds into traditional “blocks” (ie. deflections) and what I call the “melee” range (more on this below). Recently a correspondent on an internet forum advanced the theory that if one wants to learn how to defend against grapplers, one should do so from grapplers. Clearly it is wise for civilian defence skills to be tested on grappling specialists, and indeed useful information can be gleaned from them. But adopting their entire methodology for stopping grapplers (in preference to your own civilian defence tactics) makes little sense to me. The primary skill of grapplers is in grappling – not in the “stand-up” skills of evasion and deflection. Since takedown and other grappling attempts are, to my mind, nothing more than a species of attack, and since civilian defence arts specialise in deflection with evasion of attacks, I see no reason to prefer the methodology of a system for which this skill is, at best, ancillary. After all, grapplers spend most of their time getting into grapples, not avoiding them. For more on this topic, see my my article “Keeping grapplers at bay”. Of course, in my articles “The ‘melee’: karate’s fighting range” and “Staying in the melee” you’ll see my well-worn arguments that civilian defence systems specialise in dealing with the distance in which most street attacks occur – the range where you are in prime position to punch or be punched; where half a step out puts you into a full kick and in half a step to elbows, knees and then a bit closer to grappling. As I’ve said, this is where most attacks on civilians start and finish, so this is where civilian defence systems invest their effort. Unlike ring/arena sports, civilian defence rarely, if ever gives you the opportunity to “square off and circle” your opponent. My articles on “Evasion vs. blocking with evasion” and “Why blocks DO work” give a comprehensive outline of why civilian defence arts prefer deflections/parries/checks (commonly and perhaps erroneously called “blocks”) in conjunction with traditional evasion, where striking sport disciplines invariably default to “pure evasion” – eg. bobbing, weaving, ducking etc. Put simply, deflections work, but not when one is wearing gloves. And civilian defence operates in unpredictable surroundings (crowded bars, between parked cars, dark alleys) where it may not only be impossible to “bob, duck and weave” – it might invariably compromise your balance and hence your safety through excessive movement from the vertical plane. Civilian defence arts put a premium on keeping your balance, for reasons of escape if nothing else. They are not interested in protracted tactical games for “scoring”. They are interested in defence. While your arms are in use for “blocking” it is true that they are, to some extent, restricted from “scoring” – but this reflects precisely civilian defence priorities and goals. Lastly you’ll note from my article “Visible force vs. applied force” that civilian defence strikes and kicks are radically different from those of striking sports; they are geared for generating “hydrostatic shock” with bare knuckles/hands and kicks – not a “pushing” force that is necessary in most gloved punches and that has invariably spread to sport kicking techniques (perhaps through the unquestioning adoption of boxing training methods such as the heavy bag – suited to training the "pushing" blows used in gloved sports but not necessarily optimum for kicking). They are geared towards this “hydrostatic shock” because they specialise in generating as much momentum transfer (impulse) as possible using the conservative, defence focussed counters I have referred to above. Civilian defence systems are fundamentally different from military systems and combat sports. They don’t share the same goals, so it is hardly surprising that they don’t share the same methodology. Where both military and sport combat disciplines have some level of “exposure” in terms of their effectiveness, civilian defence arts have no ready forum where this can demonstrated. But does this mean that they are functionless? All I can usefully do is point out the logic behind civilian defence systems – why and how they can and do work. In short, I can offer an explanation of their (often misunderstood) role. And this is a very different role from that played by military and sport disciplines. Pointing out that civilian defence systems don’t work on the battlefield or in the sports arena does not affect this role. Sure, some civilian defence systems are bound to be more effective than others when it comes to their use in defence (as opposed to health, fitness or artistic expression). Few people who start taijiquan classes do so with the aim of learning “quick self-defence skills”. Instead they learn the art because it suits their age, physique and interests, and assists their pursuit of better health (fostering and protecting health are, after all, closely related). Taijiquan techniques can be used in civilian defence, but this is not high on most practitioners’ agendas. Then there is always the truism that the value of your defence skills depend heavily on your instructor – regardless of his or her fighting discipline. 1. Consider for example David Walker’s view as reported here, in particular his partial attribution of decreasing US power and influence to “declining moral values and political civility at home”. While I am on the topic, it is interesting to note that a link between the “decline in civic virtue” and the collapse of the Roman Empire was posited by Edward Gibbon in his book The Decline and Fall of the Roman Empire, first published in 1776. 2. Consider the number of “one punch deaths” recently reported in our local media. 5. For a brief account of karate’s origins, see http://www.wuweidao.com/history_karate.htm. 6. Shoshin Nagamine wrote in the preface to his book "The Essence of Okinawan Karate" that when Napoleon (then in exile on the island of St Helena) was told by 2 Englishmen about their visit to the island of Okinawa he was shocked to hear that they carried no weapons and had no interest in war (Tuttle Publishing, 1998 ISBN 0804821100, 9780804821100). I've read elsewhere that during that particular naval visit the English officers noted that Naha's prison held only one person - an elderly woman who had been causing trouble, but I can't recall the source! If it's true it makes a mockery of the Okinawan obsession with self-defence. 7. See for example the the philosophy of Modern Arnis, founded by the late Remy A Presas. 8. See the following article. 9. Pure sports grapplers sometimes argue that they are equipped to deal with “forbidden techniques” like biting and gouging. But in my experience they aren't; I've done some sports grappling – biting, gouging etc. are not taken into account. Why? They are so drastic that they are not really contemplated, perhaps because of the “cooperative” element of society to which I refer above. Instead they are dismissed with verbal “theoretical” arguments of the kind grapplers so often profess to loathe. While most martial artists (grappling or striking) do little to guard against bites, for example, I can’t help but observe that grapplers spend significantly more time in the “biting range”. Any self defence system must address these sorts of issues at least to some extent. Small issue does not equal “no issue”. And for grapplers this need is significantly more urgent. I enjoyed your article and agree with what I think was your main point: that civilian defence system have different needs. The problem: it's difficult to know those needs. In sport and combat, the "rules" are clear. The big problem with "self-defense" is the uncertainty of the "rules" and the end game. Does the confrontation end because one person is thrown down? Does the fight end because of a bit ear? Is it life or death? No one knows in advance and may not know in the heat of the moment. By the way, this assumption: "This line of argument is often summarily dismissed, the underlying assumption being: a ring confrontation is, for the most part, indistinguishable from a street attack." however, is a straw man argument (or straw man assumption). The grapplers certainly are not saying that at all in my experience. There are books about grappling for self defense, in my grappling classes, they talk about adaptaptions and so on. No smart grappler would say the assumption above, so I certainly wouldn't reject their points by rejecting a false assumption. I think their point is more about cooperative vs. non-cooperative training and the relative value and weighting the latter more heavily (I'd still argue both are needed). The assumption that ring fighting is indistinguishable from real fighting is one I encounter every day, so I don't see it as a "straw man" - it is a matter of fact; there are people who assume this. The fact that most experience martial artists (grapplers or otherwise) know differently is another matter! Perhaps my article made it sound like I was saying that "the average grappler" or "most grapplers" hold this view. This was not my intention. I don't dispute grappling skills usefulness and necessity. I believe that BJJ families like the Gracies and Machados show real technique - not just brute force. They are real martial artists (with have well rounded skills). Excellently thought-out and cogently expressed! I'm sharing this. A point about jujutsu as both a sport and an art: A better example of a traditional Japanese grappling sport is sumo. Ellis Amdur in particular has pointed out that many traditional Japanese martial arts assumed familiarity with sumo, since most athletic people practiced at least a little for fun.